I recently was invited to attend a ball. The thing is, I don’t own a ball gown. Nor do I want to – I’ll wear it once and it will cost a fortune. Then what? They go to the back of the cupboard and are very rarely worn again because your social group has already SEEN that dress! Then I came across a few websites where you could RENT a ball gown. The dress of my dreams was only $89 to hire for four days. $89 FREAKING DOLLARS! Most of these places don’t just have ball gowns or designer formal dresses, they have gorgeous outfits for events…. Imaging the expense of going to say the races for a girls night out – think of what you would spend on an outfit, shoes, outerware etc. Now compare that to HIRING a designer outfit – it comes out so much cheaper. I’m thinking of doing this for my next event as I’m way to tight to spend cash I don’t have on clothing I’ll not wear out! 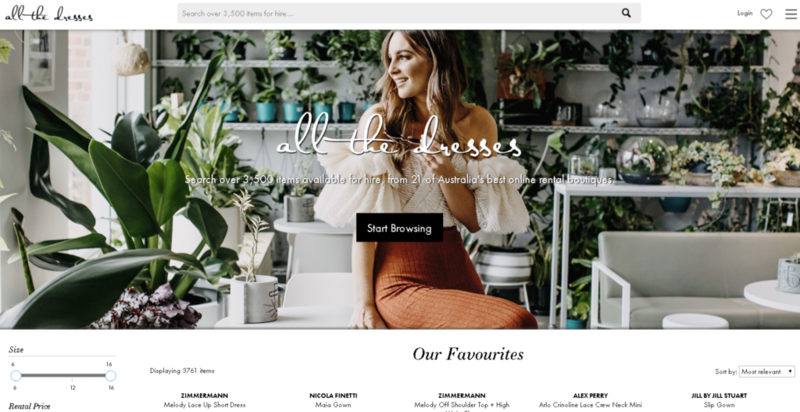 Here is a list of all the boutiques in Australia that rent designer dresses, outfits, ball gowns, formal wear, cocktail dresses, shoes and even accessories. Now I haven’t used all of these (obviously) – but I’ve done the research for you. Each does tend to cater to a slightly different market and style, so have a look, compare the prices and look at reviews! The Volte call themselves the ‘Airbnb of Fashion’. 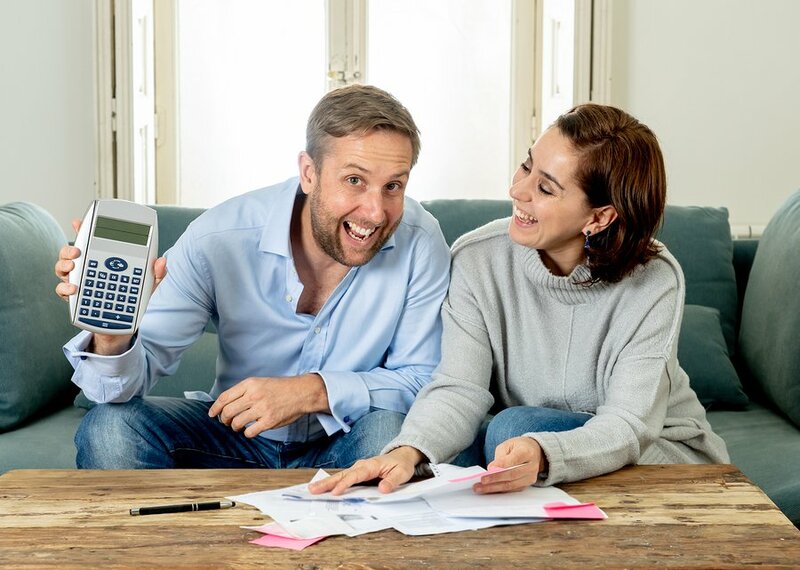 And not only can you hire a gown or designer outfit, you can also turn your own designer outfits into cash by offering them on the ‘market’ to be borrowed by others. 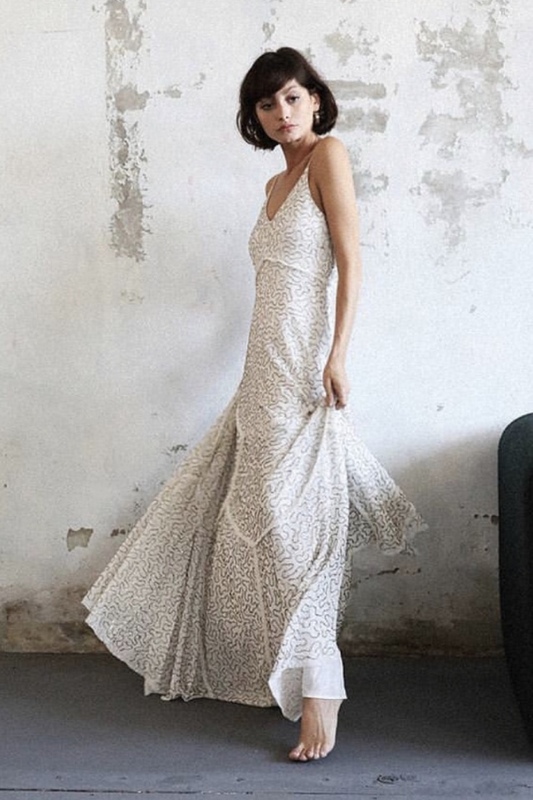 Based in Northern Sydney, Dress for a Night has a range of luxurious gowns perfect for any occasion. They carry designers such as Portia & Scarlett, Thurley, Camilla, Alice McCall and Jadore. You can also purchase ex-rental dresses at heavily reduced rates! 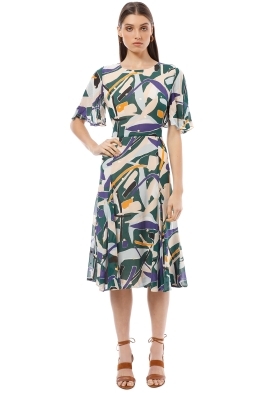 This Alex Perry Dress has a RRP of $1300, but you can rent it for only $219! Rent a Dress Australia have been around since 2014 and are based in Melbourne. You don’t rent the item directly from Rent a Dress, but through the owner, and the website puts the two and two together. 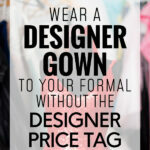 Rent a Dress Australia have over 3,000 garments available for hire on their website. Specialises in Club-wear and race wear. Glam Corner is perhaps my favourite of the bunch (and where I will be renting my gorgeous dress from). You rent directly from them, the website is easy to use and everything just ‘works’. I also love how you can book a styling session with them for those of us who have no idea when it comes to clothing (cough cough, me). GlamCorner is based in Sydney. There isn’t a whole lot of information on the Dresshireau.com website about who they are and their story, but they have some beautiful gowns and outfits – and they even hire accessories! They do have a warehouse at Eltham where you can try on dresses if you organise a time first. Get Dressed Hire is a Luxury Designer Rental Outfit located in Wollongong. They don’t just have ball and formal gowns, they have gorgeous outfits for the races, jewellery, millinery and accessories. 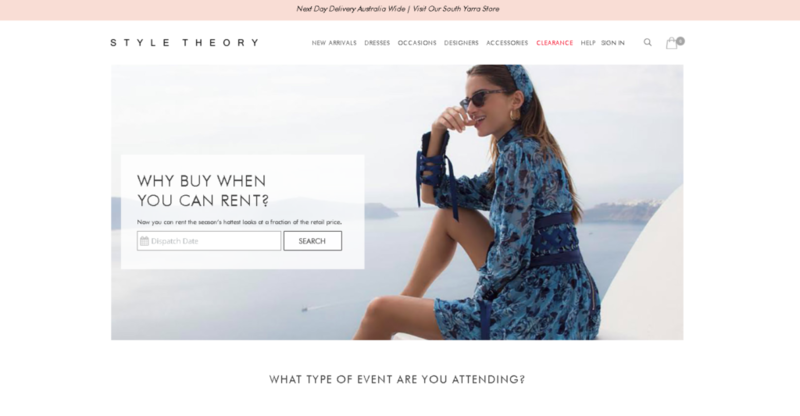 Style Theory offer designer outfits either online or from their Melbourne store which is open six days per week. They strive for customer service and making their customers feel as good as they look! Your Closet is a luxury online rental ‘destination’ for lucky girls all over Australia. They have a stylist on staff to give you a hand and they are located in New South Wales. The niche is designer dresses and special event pieces. Her Wardrobe is the dream of a girl obsessed with fashion and clothing but was always broke because of the price tag. Her Wardrobe is located in the fashion capital of Australia, Melbourne. They even have an ex-rental sale area where you could pick up a bargain designer dress at a cheap cheap price! Best for race day wear, special occasion dresses and designer gowns. All the Dresses has over 6,500 items for rent, from designer gowns through to handbags, jewellery, jumpsuits and Winter wear. 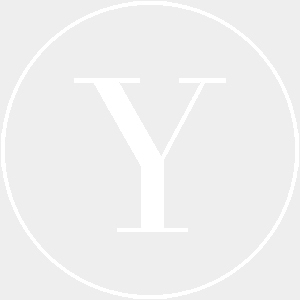 My Runway is one of the newer garment hire sites founded in 2017. They believe that fashion can give a woman confidence and that all women deserve to both look and feel like a million dollars. 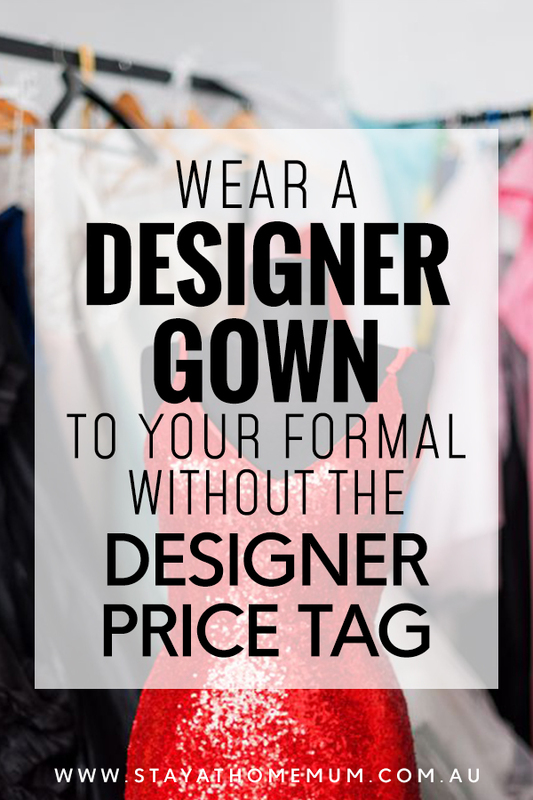 Wear the perfect gown at a fraction of the price!